My little love...what Momma wouldn't do. I'd conquer the world for you. With you is where the best of my heart lies. Baby noises, tiny kisses & little baby smiles. It's what my heart craves. But you my sweet love; you make my world a wonderful place. Love your outfits and you are both too dang gorgeous. Not fair! Lovin the boho chic vibe! Lauren, Little ones always brighten up our lives, don't they??? Your little princess is as gorgeous as her momma!!! Love your sense of style and of course love reading your blog. so so sweet! i am a new follower too! You and Scarlett are both extremely beautiful! 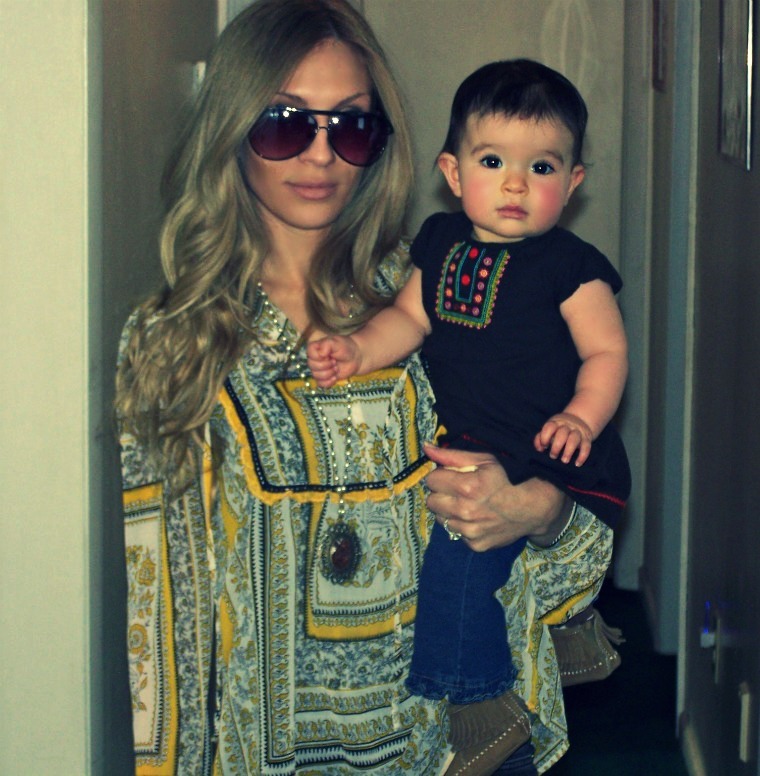 I hope I will be as pretty a mommy as you someday, and I hope my baby is as lovely as yours! I also love your outfit btw. Especially the necklace! love both of your outfits!!! Such cute pictures! !